Every attending student should have the course material purchased by May 29th. The textbook can be found here. 15 students who apply before April 4th from Las Cruces District will receive $100.00 scholarship each from the Las Cruces Public Schools (LCPS) Foundation. If you are interested in achieving a high ACT score, strengthening your STEM background, or pursuing a future health-related career, DACC Summer Academy at the Dona Ana Community College (DACC) can help you build the skills for academic success while exploring potential health career opportunities. 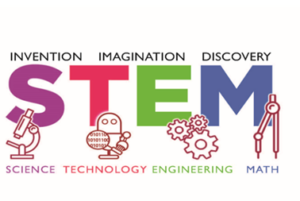 Doña Ana Community College (DACC) recognizes that STEM education and training is a critical requirement for providing a workforce that meets the state’s workforce demands while educating students for work in fields that experience higher job growth, wages, and employment rates. DACC is pleased to host Summer Academy for ACT Prep and STEM enrichment in summer 2018 in collaboration with South West Foundation for Osteopathic Education and Research (SWFOER). This intense and rewarding five-week, non-residential summer program will host 80 high school incoming freshmen, sophomores, juniors, and seniors. This academy will challenge students with rigorous ACT preparation curriculum designed to enhance math, science, language, computer, and critical thinking skills while exposing students to health-related professions. Previous attendees have increased their ACT scores by 25 percent. What does DACC Summer Academy offer? · Hiking, Indoor Sports, and Movie Afternoons. · Students are expected to commit to the full five-week program, plus a one-day mandatory orientation and a one-day graduation ceremony. · Students must pay their program registration fee ($206) before the deadline. · Students must comply with DACC/NMSU/BCOM policies regarding conduct, academic honesty, safety, and lawful behavior. Dr. Kadavakollu graduated from New Mexico State University and Andhra University, and has been serving the state of New Mexico in various faculty positions for the past 10 years. Dr. Kadavakollu earned his undergraduate degrees triple majoring in Chemistry, Physics, and Mathematics, then continued on to a Master’s degree in Organic Chemistry at Andhra University, India. He then obtained his Ph. D. in Chemistry from the Department of Chemistry and Biochemistry at New Mexico State University. Dr. Kadavakollu has an excellent background in test preparation, interactive teaching, medical education, flipped classrooms, community outreach, and has received various awards in Teaching. In 2012, Dr. Kadavakollu began working at Western New Mexico University as an Assistant Professor of Chemistry in the Natural Sciences Department. While at Western New Mexico University he taught Biochemistry, Organic Chemistry, General Chemistry, and Chemistry for Life courses. Dr. Kadavakollu’s research interest includes designing novel small molecules for cancer therapy and published more than 10 research article in peer-reviewed journals, while his pedagogical research interests are improving underrepresented student populations in sciences, using expansive technology in flipped classroom teaching, and increasing physician population in the Southwestern parts of the United States. Dr. Kadavakollu received Western New Mexico University’s Professor of Excellence in Teaching Award in 2014, and then both the Professor of the Year Award and Professor of Excellence in Research Award in 2015. Additionally, in the past five years Dr. Kadavakollu has worked as a Visiting Professor at the Southwest Center for Health Innovation in Silver City, NM, and the University of New Mexico’s Health Sciences Center in Albuquerque, NM. Dr. Kadavakollu ran numerous extremely successful Exam Prep Summer Camps for several years. These Exam Prep Summer Camps increased participating students’ ACT scores by 28 percent and MCAT scores by 44 percent. For the past two years Dr. Kadavakollu has offered community MCAT Prep Courses for Pre-Med Students in Las Cruces and El Paso areas, and will be offering an ACT Prep Course in Summer 2018 for Las Cruces / El Paso High School Students. 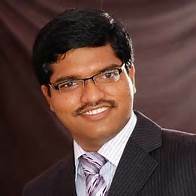 Dr. Kadavakollu worked as a Chemist in the Pharmaceutical Industry for four years before beginning his teaching career. 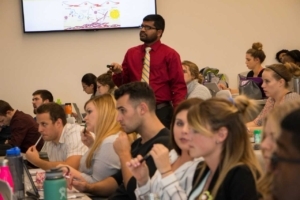 Now, as an Assistant Professor at Burrell College of Osteopathic Medicine, he is sharing his knowledge with not only future doctors, but also with other high school and college students hoping to improve test scores on some of the most important exams they will take in their academic careers.